Lancôme introduces a new hydrating skin tint that combines the benefits of skincare with make-up: Skin Feels Good. This product is a perfect base for a “No Makeup, make-up look” and for busy individuals who have no time to apply make-up but still want to look flawless. 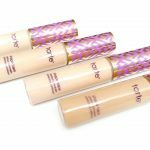 The skin tint is infused with skin-loving ingredients such as Hyaluronic Acid to lock in moisture and Moringa Seed Extract to revitalize and protect against free radicals. 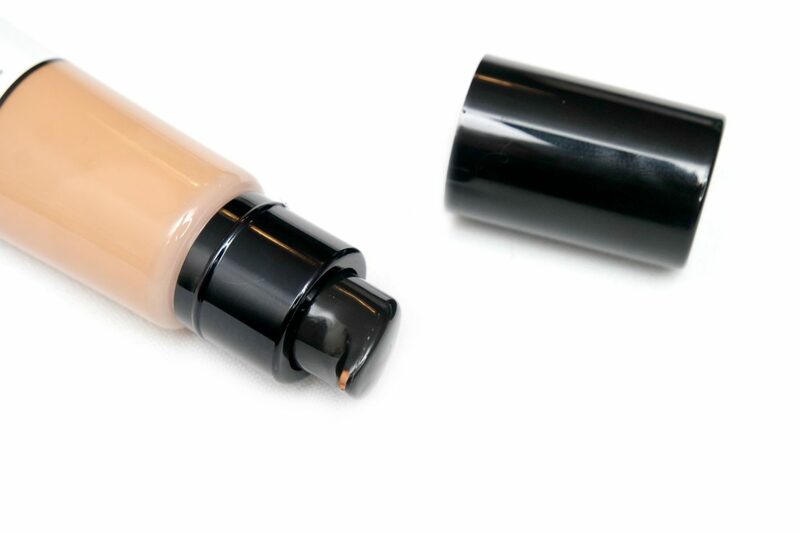 The formula also provides SPF 23 protection to the skin. 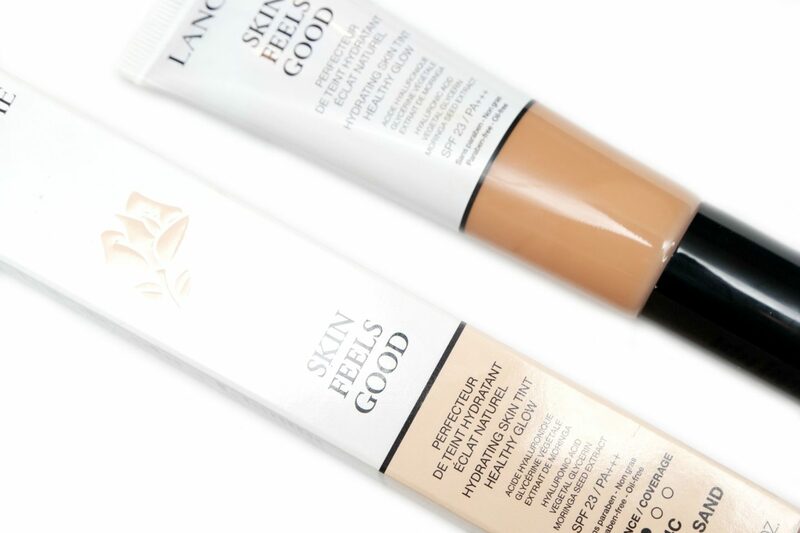 I’m going to review and put the Lancôme Skin Feels Good hydrating skin tint to the test in today’s post. 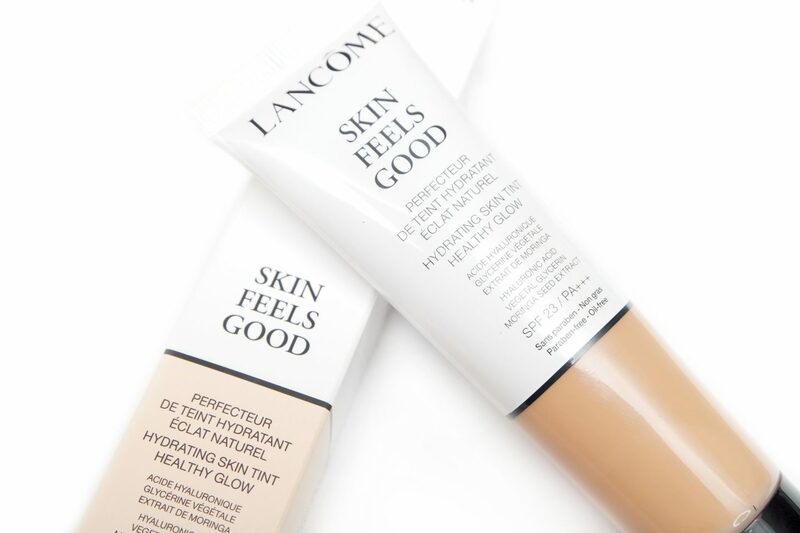 The Lancôme Skin Feels Good hydrating skin tint comes in a plastic tube with a transparent cut-out so the product is visible, containing 32 mL in total. The skin tint comes in eight different shades. I’ve received the shade 04C Golden Sand. Surprisingly, the Lancôme Skin Feels Good hydrating skin tint has a pump! I didn’t expect that at all looking at the packaging. I always prefer pumps because for me, it’s easier to get a even amount of product every time when I use it. 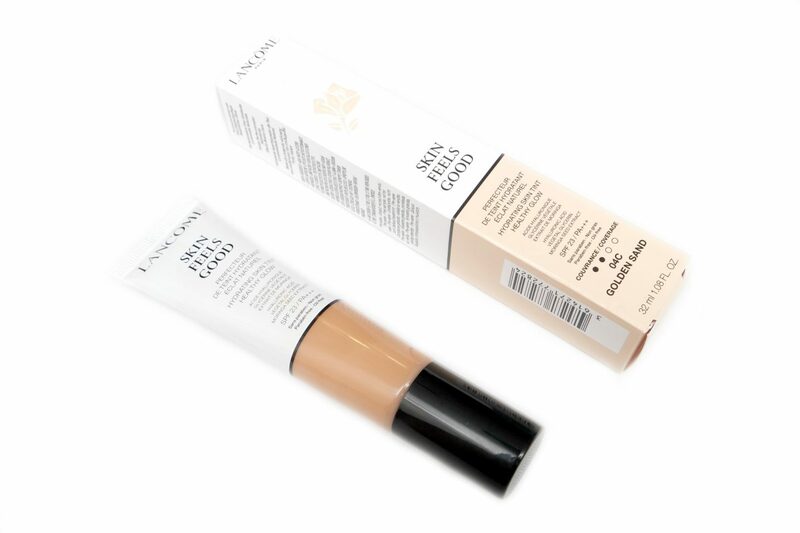 The texture of the Lancôme Skin Feels Good hydrating skin tint is creamy and very lightweight. It has a sweet, perfume like scent, which I find very pleasant! The shade matches me perfectly but does look a bit ashy in picture, because I use flash photography and the product does give some flashback due to the addition of SPF. The pictures above show my face before and after applying the Lancôme Skin Feels Good hydrating skin tint. I first wanted to apply the product by using my regular method, which is a beauty sponge but I found out that it didn’t want to even out very well. Instead, I used my fingers, which is actually the application method that the brand recommends. 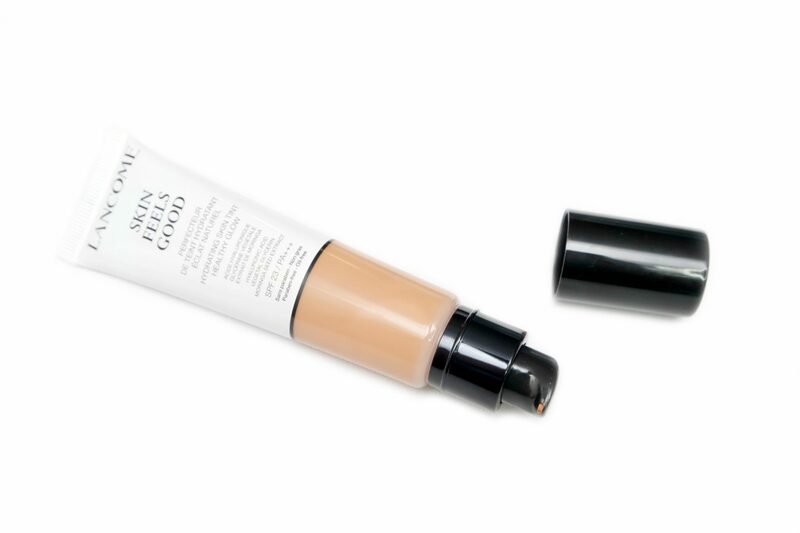 Since this is a light coverage product, you can even use it without a mirror. I absolutely love how the product looks on my skin. 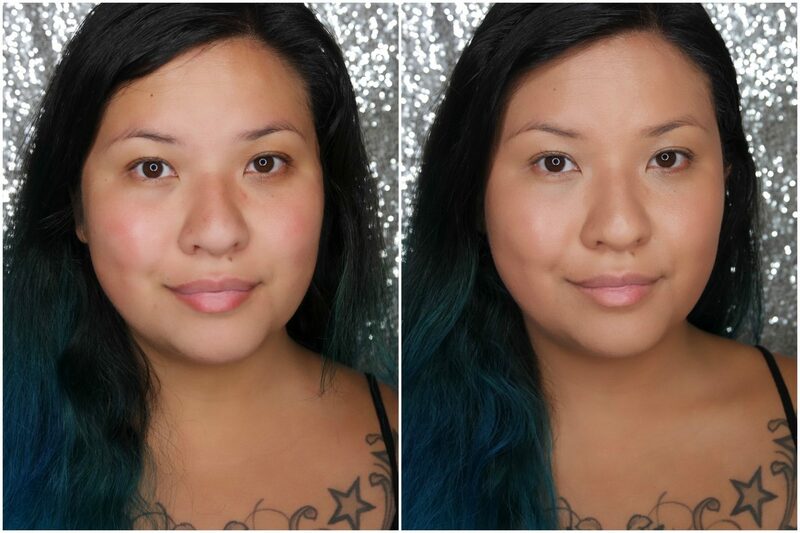 I’m a light to medium coverage kind of girl, and this makes my skin look even toned but still natural and dewy. 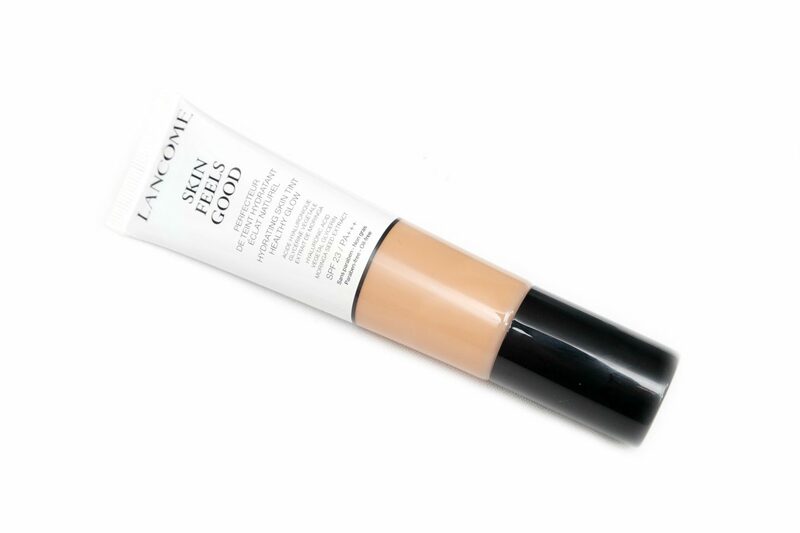 Here is the Lancôme Skin Feels Good hydrating skin tint in combination with the rest of my make-up. I had to apply some powder on my T-zone, which I normally only do on the tip of my nose but the skin tint stays very dewy and tacky. It still looks very luminous though! 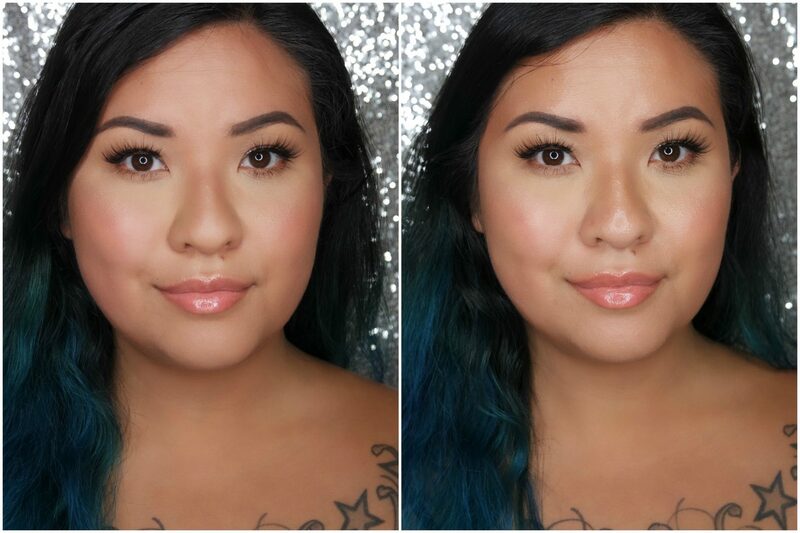 I’m absolutely obsessed using this skin tint in combination with a natural make-up look. I think it’s definitely a great option for a work day when you don’t have much time to prepare your make-up. I also wanted to check how the product looks like over time. In the pictures above, you can see my make-up during the initial application on the left, and after eight to nine hours on the right. It is a very hot week in The Netherlands, so I didn’t do much except for sweating a lot. You can definitely see that back on my T-zone however, I don’t think this is meant to be a very long-lasting product, especially in this weather. You can powder in between but I don’t mind it because I would probably use this only on workdays and not doing anything else afterwards. I also don’t think you will like this product if you have oily skin. 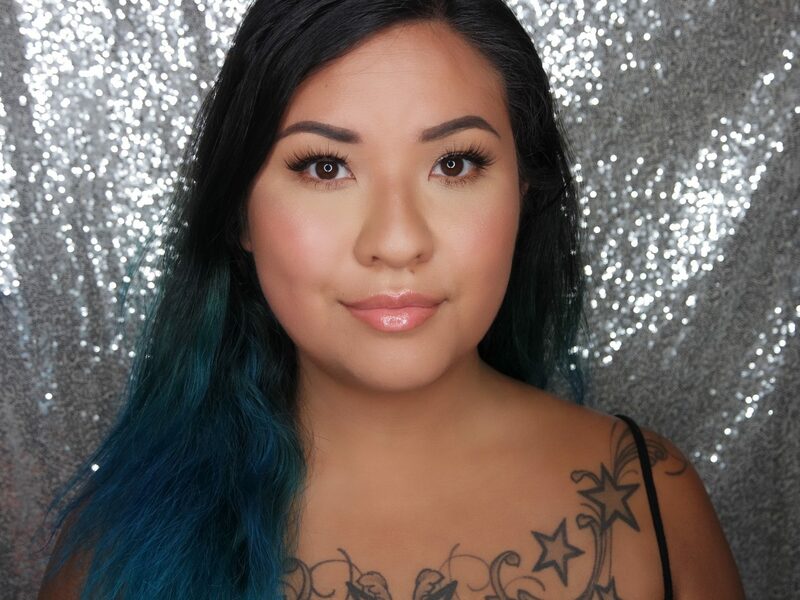 The product stayed tacky throughout the whole wearing period, which I liked because my skin is dry and it kept my skin feeling hydrated the entire time. I’m a fan of the Lancôme Skin Feels Good hydrating skin tint! 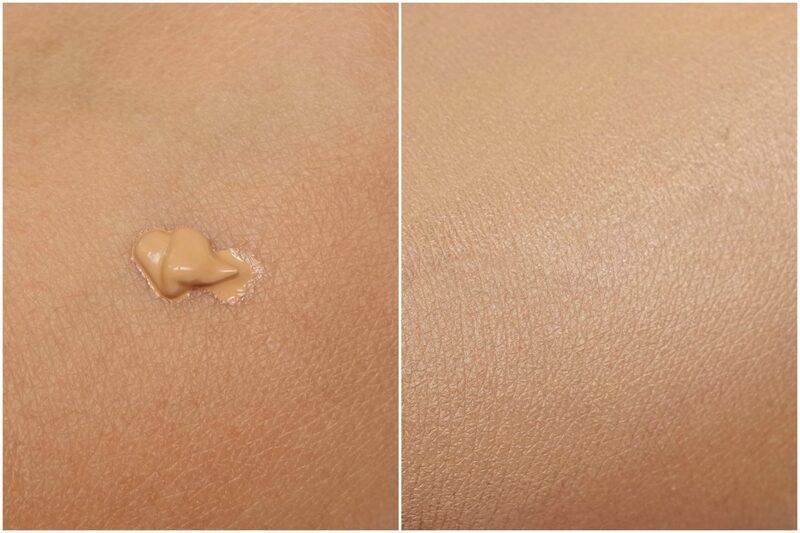 It looks very natural, dewy and healthy, it’s easy to use so great for a quick, every day look. Not only that, using the product for a longer time will benefit the skin due to the addition of the skin-loving ingredients mentioned before. The Lancôme Skin Feels Good hydrating skin tint is available for a suggested retail price of €40,50 Euro at several (web)stores like Douglas and De Bijenkorf. Are you a fan of using products that combine skincare and make-up?